Chetna spoke on the Engage for Success radio show about ‘Enhancing Wellbeing to Build Employee Engagement’. She explains how the key to building employee engagement lies in enhancing the mental wellbeing of employees and provides an insight into a new understanding of the mind to transform mental wellbeing and, in turn, build employee engagement. Read our article for the Law Society’s Law Management Section on ‘Enhancing wellbeing in law: a bottom line issue’ explaining the link between wellbeing and the bottom line and why a fresh perspective is needed to make a strong business case for the wellbeing agenda. Chetna explains what firms can do differently for sustainable wellbeing solutions, perfectly tailored for their firms. Chetna spoke on the POWER to Live More podcast on ‘Understanding Stress to Improve Performance’ about how understanding what stress really is makes all the difference to wellbeing and her take on issues including productivity, wellbeing, work life balance and creativity. Chetna explains how “at some point, it’s just going to feel obvious to you what you need to do to move things forward”. Read our article for Chamber's Diversity on 'A Fresh Perspective on Stress' for Mental Health Awareness Week exploring stress, the wellbeing conversation for lawyers and an insight into the work of Being Lawyers. Read our article for the Law Society’s Family Section on 'The key to high performance without the risk of burnout' explaining how lawyers can draw on an understanding of the mind to achieve high performance without compromising their wellbeing. Read the LawFuel article ‘Stress Levels of Young Lawyers Hit Red Line Alert Level’ including our comments about the impact of our state of mind on our stress levels. 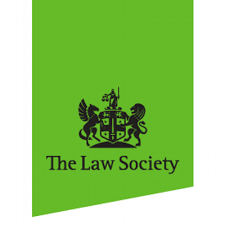 Read The Law Society Gazette's coverage of the Junior Lawyer's Division conference held at The Law Society at which we spoke about the impact of our state of mind on our stress levels. The Solicitors Journal published our comments on the impact of a low quality state of mind in the context of addictions. Following the closure of the magazine in September 2017, archives of the journal are available at the Law Society library and the British Library. The Solicitors Journal article "Challenging mental health stigma among lawyers" in which we comment on the source of stress and what to do when you are experiencing it. Following the closure of the magazine in September 2017, archives of the journal are available at the Law Society library and the British Library. Read The Law Society Gazette's article on the importance of keeping the wellbeing conversation alive. Chetna is quoted in this article. The Law Society profiles Lauren on her experience dealing with depression, including tips for both those who may be suffering from depression and for employers on how to be with lawyers who are suffering. Read The Lawyer's coverage of the launch of our videos on YouTube. The Solicitors Journal reported on our videos on YouTube for Mental Health Awareness Week 2016. Following the closure of the magazine in September 2017, archives of the journal are available at the Law Society library and the British Library. Read The Law Gazette coverage of our official launch and marking Mental Health Awareness Week 2016. 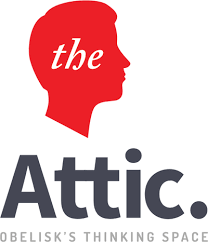 Read The Attic's coverage of the Law Society Conference "Transforming the Wellbeing of the Legal Profession". The Law Society recorded the schedule for the conference "Transforming the Wellbeing of the Legal Profession"